Purchased this as a gift for my brother, and it was well received. The monogram is simple enough to not be obnoxious. 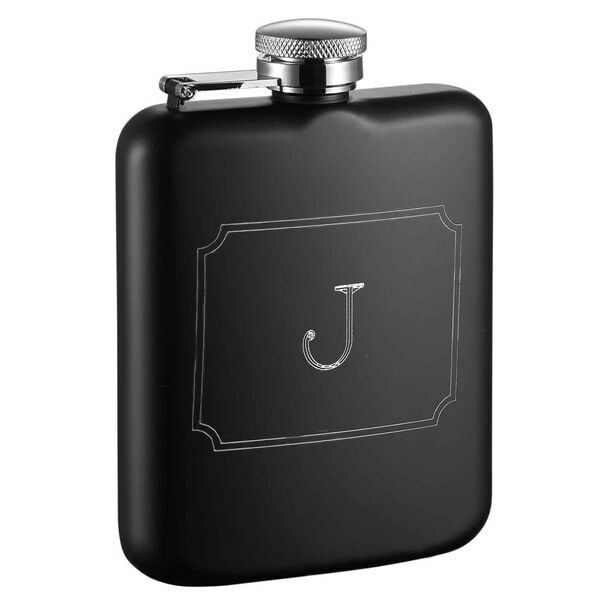 Small little flask that's easy to keep in even a small pocket. Its a cute little flask, nothing fancy-pants, but it does the job!